GT Stands For "Generous Trunk" If ever there were an award for the most bastardized label in the automotive world, the Gran Turismo/Grand Touring/GT moniker would be an easy frontrunner. Once reserved solely for sporty coupes, the GT letters have taken a big hit over the years, but things got downright embarrassing with the BMW 5 Series Gran Turismo. For 2013, Hyundai is helping to muddy the waters even further by slapping a GT badge onto the hatchback version of its top-selling model, the Elantra. In the case of the 2013 Hyundai Elantra GT, though, this name is just recycling the Elantra GT name from the early 2000s, albeit on a more stylish, modern and all-around better five-door. Hyundai has created quite a competitive lineup since its Fluidic Sculpture design language hit the market, but one area that it has paled in comparison to rival automakers is in the hatchback department. 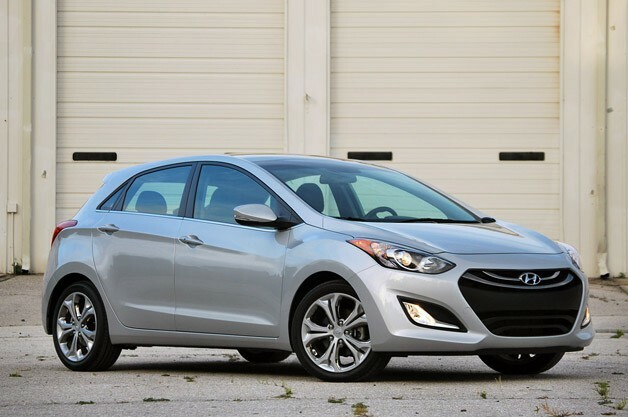 With a plethora of budget-minded compact cars currently on sale, Hyundai now finds itself in the unique position of being the only automaker to offer a compact sedan, coupe and hatchback with the 2013 Elantra. Still, with the compact segment more crowded than a public school classroom, we spent a week with the new Elantra GT to see how it stacks up against the hatchback competition. 2013 Hyundai Elantra GT originally appeared on Autoblog on Mon, 03 Jun 2013 11:57:00 EST. Please see our terms for use of feeds.